The Welsh club has not made the first payment of 6 million euros and the Girondins would have claimed their part of the agreement. You can not even know who would be responsible. Emiliano Sala (28 years old) was going to fulfill a dream last Monday when he got on the plane that would take him to Cardiff. The Argentinian attacker got into elite football when signing for a Premier League club, but after taking off his plane, he disappeared from the radar, and still nothing is known about his whereabouts or that of his pilot, David Ibbotson. The search was suspended last Thursday, but thanks to the donations it was possible to reactivate in the last hours. 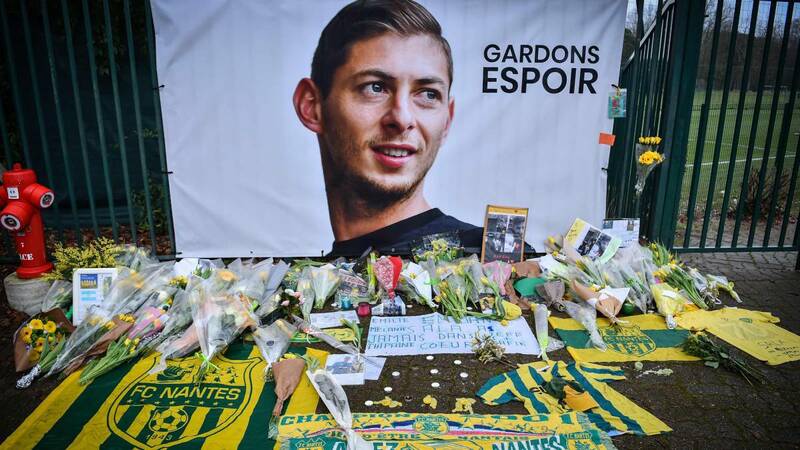 While Sala's family tirelessly requests that the search work not cease and suffers the agony of his disappearance, the participating clubs in the transfer seem have no scruple when it comes to claiming their share of the money. The striker of Santa Fe no El Cardiff has decided to cancel the part of the payment of 17 million euros that was agreed for the transfer until the facts are clarified, as published by Telegraph. The Welsh club could file a negligence claim as they consider that have nothing to do with the procedures for the flight to Cardiff. was commissioned by Sala's agent and an intermediary of the deal. Cardiff should have already paid the first installment of 6 million euros to Nantes and now the French club meditates to file a lawsuit for the non-payment, although its president is cautious still and prefers to focus on the search of Room before making a decision. "I do not want to talk about money while we continue in this dramatic situation," said President Waldemar Kita, who donated 6,000 euros to reactivate the search for his former player. "Now we're not going to claim anything, then we'll see," he warned. But Cardiif is not the only club that would be showing insensitive to the drama. The Girondins would have already claimed its corresponding part of the Argentine signing, according to Presse Océan, the newspaper of Nantes. The Bordeaux club owns half of the transfer, 8.5 million, since the striker began to break out in the southwestern city of France and would like to collect his proportional part of the 6 million of the first payment. In legal terms it is still he does not know who would be responsible for the payments since everything would depend on whether the contract was signed by the three parties (Nantes, Cardiff and player) and the conditions drawn up. "For a contract to be considered valid, the transfer must be recorded in FIFA's computer system," sports lawyer Thierry Granturco said a few days ago.